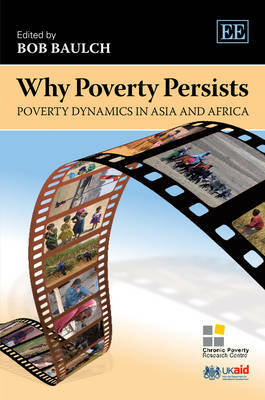 This edited book analyses what traps people in chronic poverty, and what allows them to escape from it, using long-term panel surveys from six Asian and African countries. The distinguishing feature of these studies, which were commissioned by the Chronic Poverty Research Centre, is they span longer periods or have more survey waves than most developing country panels. This allows a detailed account of the maintainers of chronic poverty and drivers of poverty dynamics. Many of the studies (from Bangladesh, Ethiopia, Nepal, Pakistan, South Africa and Vietnam) are written by leading development economists, and all pay careful attention to the difficult issues of attrition, measurement error and tracking. The book's comparative perspective highlights the common factors which cause people to fall into chronic poverty and allow them to break-free from it. A number of promising policies and interventions for reducing chronic poverty are identified. This up-to-date book will be an excellent resource for international development agencies, academics specialising in development economics and development studies, and researchers in international NGOs. Graduate students of development economics and development studies will also find much to interest them.